Jon Jerome has been affiliated with the charity since 2004. He served as a volunteer and then Director of Development before taking on the responsibility of President and CEO in January of 2007. Under Jerome's leadership, H.E.R.O.E.S. 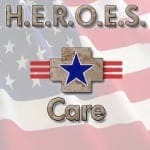 Care has provided more than 35 million dollars in material and financial aid to military members and their families. Shortly after taking on his current role, he began the process of working with the leadership of other charitable entities to develop a framework of holistic care that would become the unprecedented and effective H.E.R.O.E.S. Care Hometown Support Program. Jerome is a life-long resident of the St. Louis area. Honors include the Governor's Conspicuous Service Medal, the Department of the Army Civilian Service Award, National Guard Minuteman Award, the Bank of America Local Hero Award, the National Guard Outstanding Center of Influence Award, and the Challenge Coin of the Secretary of Defense.